Chelsea make £34m bid for Real Madrid striker who is thought to be keen on move to London. 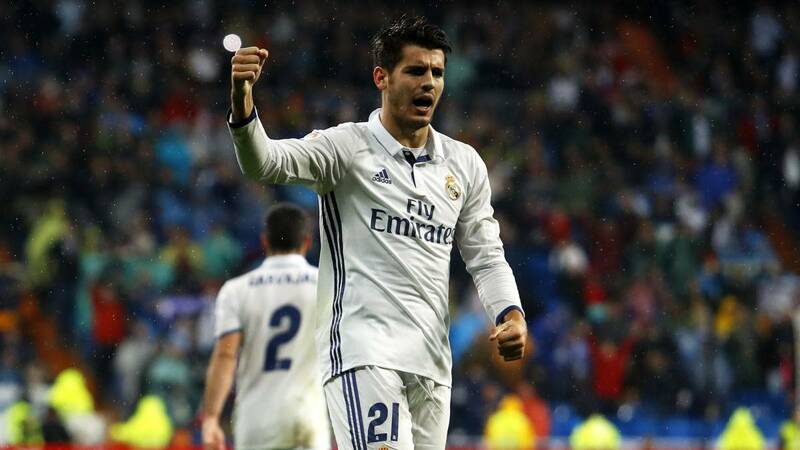 It's being reported in the Spanish press that Antonio Conte has held talks with Alvaro Morata over a £34m move from Real Madrid to Chelsea this summer. Having tried and failed to sign him last summer, the Chelsea manager is determined to get his man this time around. It's no secret that Antonio Conte had identified Alvaro Morata as one of his main transfer targets last summer after Real Madrid triggered a buy-back clause inserted into the previous deal that took the Spanish striker to Juventus. In Italy under Antonio Conte, Morata thrived and was given a chance he never had offered to him previously in the Spanish capital. He developed into a main striker that could lead the line on his own and excelled as doing so. 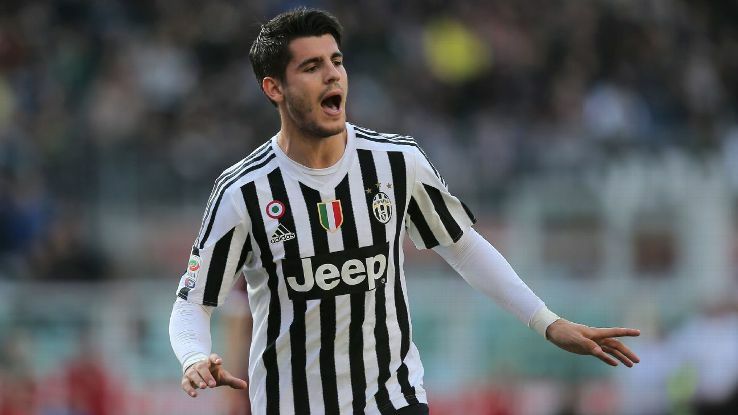 Two years ago, as Juventus took a slim advantage to Bayern Munich in the Champions League, Morata literally ran a mock against Pep Guardiola's side causing havoc in their defence. He would run at them with the ball, he would hold it up, take people on and cause them all sorts of problems through his work rate alone. It was only when he was substituted that the game changed, Bayern grabbed the upper hand and eventually won the game knocking Juventus out of the competition which is something Morata personally did not deserve. The best way to describe him is that of Diego Costa. OK, he doesn't have the aggressive streak in his personality but in my opinion he has everything else. He can offer Chelsea and Antonio Conte the same options as Costa by holding the ball up to bring others into the game, to dominate defenders, to get in behind to cause problems and to work his arse off leading the line. The 24-year-old has struggled to force his way into the starting eleven on a regular basis at Madrid with Zidane in charge and has had to play second fiddle to Benzema, Bale and Ronaldo. Having established himself as the number one at Juventus, he has become frustrated at his lack of opportunities at Madrid and is looking to leave. We hope that it turns out to be Chelsea with Antonio Conte in charge next season because I really, really believe that Morata is the business. To come here and provide obvious competition for Diego Costa would be of a great benefit to the team because it wouldn't be as plain sailing as people would think. That's if Diego Costa remains a Chelsea player of course. Having signed Alvaro Morata for Juventus, Antonio Conte seems to be doing his utmost to sign him for a second time this summer as Chelsea look to bolster their options for the Champions League next season. Let's hope he can convince him to come here! I really, really rate Morata. What do you think of him?